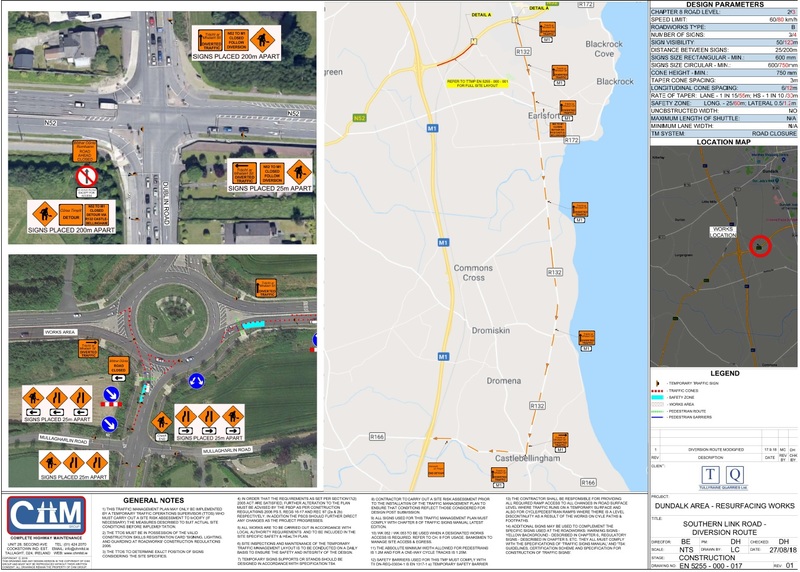 According to Louth County Council today, road works are being carried out on the West bound carriageway of the Southern Link road dual carriageway (N52) approaching the M1 motorway junction 16 (Dundalk South). The West bound carriageway will be closed for several days starting this morning (Tuesday 18th September). Diversion signs will be in place. South bound traffic will be diverted via the Dublin road, R132, to Castlebellingham and from Castlebellingham via the R166 to rejoin the motorway at Junction 15.